Thurston County Public Health & Social Services envisions a community where Thurston County’s children and their families are daily making healthy food choices and engaging in regular physical activity. We work together with our community to create neighborhoods that support and foster healthy children and families – encouraging the education, health care, environments and policies needed to promote a healthy weight and thereby prevent chronic disease. Building partnerships with child-serving organizations, particularly family practice and pediatric health care clinics. Preparing partners to participate in the prevention of childhood obesity. Fostering changes in the community environment to support healthier eating and increased physical activity. To date, the health department (TCPHSS), has held in-service presentations and a forum for pediatric care providers (see the Partnerships with Health Care page for more information) and conducted community engagement, which focused on development of child obesity prevention strategies with community advisors and a newly formed coalition (see 2010 Strategy Report). Building a stronger childhood obesity prevention coalition. Promoting breastfeeding through health care providers and employers. Supporting policy and practice changes with local partners designed to increase access to healthy eating and physical activity. TCPHSS participates in the South Sound Breastfeeding Network. ● Community Garden Project: TCPHSS has completed an assessment of community gardens in Thurston County with support from local partners. TCPHSS will also assist the community in establishing five new garden sites by the fall of 2014. The project will increase access to healthy foods. ● Safe Routes to School: Working with two North Thurston elementary schools, TCPHSS will update school walking route maps, conduct educational activities, and start walking school buses with the aim of increasing physical activity among children through walking and bicycling to school. Thurston County Public Health & Social Services staff continues to connect with partners in the community and supports projects like the Active Community Environments work of Thurston Regional Planning Council and its partners. 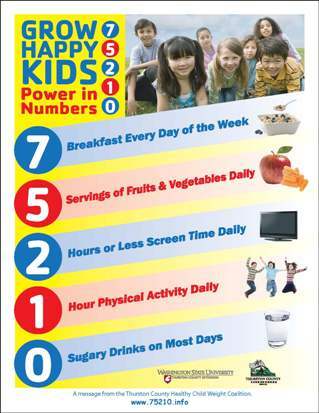 Please join us in the effort to promote healthy child weight in Thurston County. If you would like to take part in the discussions with our department or take action on a strategy, please contact Chris Hawkins, Active Healthy Communities Coordinator at (360) 867-2513 or send an E-mail.